Saeki, I. Koike, F. and Murakami, N. 2015. Comparative phylogeography of wetland plants in central Honshu, Japan: Evolutionary legacy of ancient refugia. Botanical Journal of Linnean Society 179: 78-94. DOI: 10.1111/boj.12301. 佐伯いく代,　飯田晋也,　小池文人,　小林慶子,　平塚和之. 2012. 里山の指標種ワレモコウの遺伝的変異．緑化工学会誌 38(1): 115-120. 小池文人 2006. 神奈川県のアライグマの対応戦略：分布予測シミュレーションから国家レベルの大規模な対策を練ろう. 自然保護 493:12-14. Koike, F 1995. On representation, sampling and processing of canopy data. In (N. Nadkarni ed.) Computer Tools for Canopy Research. 小池文人 1995. 樹冠と林冠の発達と機能. 現代生態学とその周辺．東海大学出版会. 110-118. 小池文人 1993. 植物の相互作用. 基礎生物学講座 第９巻 生物と環境，朝倉書店. 66-82. 杉村喜則 and 小池文人. 1991. 宍道湖・中海汽水域における大型藻類及び海性沈水草本植物群落とその分布. 汽水湖研究 創刊号.81-86. 松井淳,甲山隆司,小池文人 and 酒井聡樹. 1985. 知床半島遠音別岳周辺における森林植生の垂直分布と林木群集の構造. 遠音別岳原生自然環境保全地域調査報告書, 環境庁自然保護局.173-200. 佐藤謙,西川恒彦,酒井聡樹,松井淳,甲山隆司,小池文人.小林正寛,伊藤浩司. 1985. 遠音別岳原生自然環境保全地域と知床半島全域の維管束植物相.遠音別岳原生自然環境保全地域調査報告書, 環境庁自然保護局. 115-172. Koike, F. 1994 Structure and light environment in the forest canopy of Lambir Hills National Park, Sarawak. Plant reproduction system and animal seasonal dynamics (ed. by T. Inoue and A. Hamid). 40-42. Koike, F. and You, H-M. 2000 On evaluation of important processes in plant life-cycle. Proceedings of the 3rd International Workshop on Risk Evaluation and Management of Chemicalas. 235-238. Doctor of Science, Botany, Kyoto University, Kyoto, May 1988. Dissertation title: Foliage density distribution in tree and forest canopies and crown-to-crown interaction in evergreen broad-leaved trees. Advisor: S. Kuroiwa. Master of Science, Botany, Kyoto University, Kyoto, March 1984. Thesis title: Researches on foliage distribution and its dynamics in forest canopies (in Japanese). 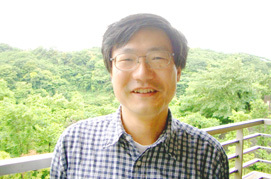 Advisor: S. Kuroiwa. Bachelor of Science, Biology, Chiba University, Chiba, March 1982. Research title: Relations between forest canopy structure and foliage dynamics estimated from shoot growth (in Japanese). Advisor: M. Numata, M. Ohsawa and N. Ohga. Department of Environment and Natural Sciences, Graduate School of Environment and Information Sciences, Yokohama National University. Institute of Environmental Science & Technology, Yokohama National University. Department of Biological Science, Faculty of Life & Environmental Sciences, Shimane University. Department of Biology, Faculty of Science, Shimane University. 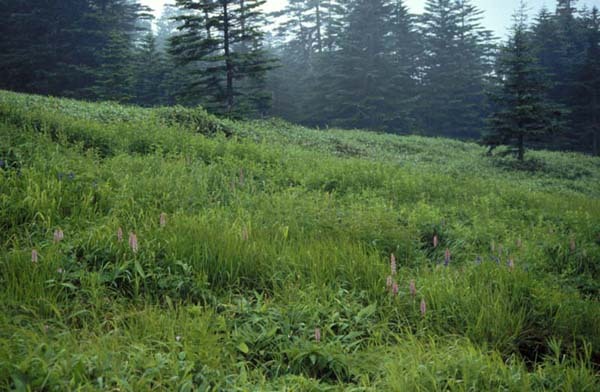 Mechanisms determining species composition and dominance in plant communities. Prediction of biological invasion by trait analysis. 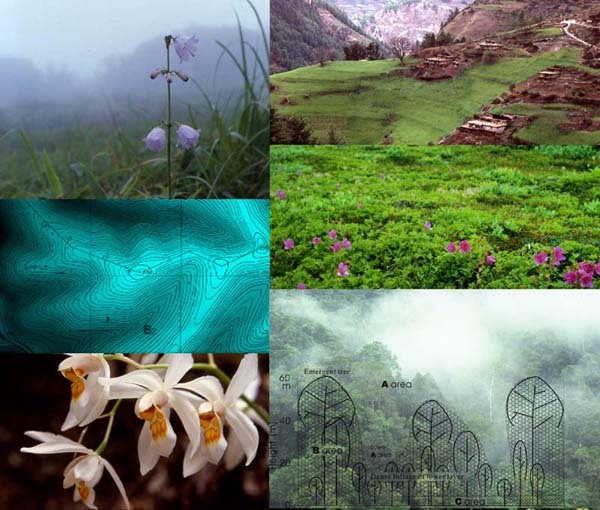 Landscape design to conserve biological diversity.